Whynde Kuehn interviews Linda Finley for a look at business models and the important role they play in business architecture. Linda is President and CEO of Leadership Advantage, a business consulting and education company. 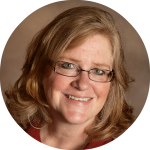 Linda is a pioneer in the business architecture professional and corporate community, launching the successful Twin Cities Business Architecture Forum in 2010 and serving as the non-profit’s President and Board chair. Linda is formerly a member of the Board of Directors and of the Advisory Board for the Business Architecture Guild, the international Business Architecture professional association, and a primary author of the BIZBOK®, a Guide to the Business Architecture Body of Knowledge.